What brings more delight than our four legged friends? Being animal lovers, we’ve crafted a range of food that helps our pets live their best lives. Cherish nourishes mind, body and spirit. 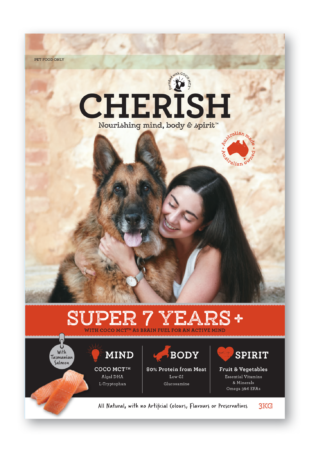 It’s packed full of superfoods for a super life and has the perfect balance of nutrients and quality Australian ingredients to sustain good health and happiness. 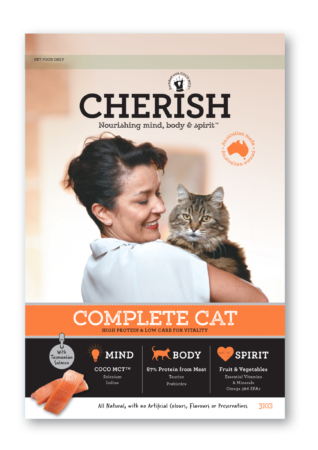 Pets love the flavour and you’ll love the difference you see in their total wellbeing. Special relationships deserve to be cherished. Your pet’s food influences its mood. 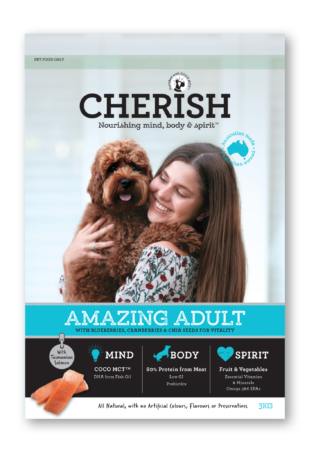 Nutrition impacts on cognition, so we formulated Cherish with COCO MCTtm. 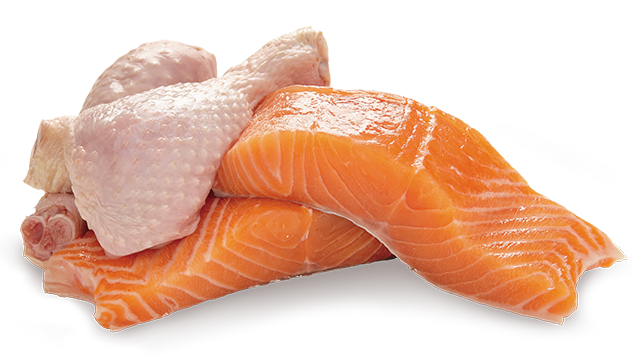 Easily metabolised and absorbed, this unique fatty acid supplies an additional source of energy for your dog’s brain. Your best friend will be more trainable as a puppy or kitten, stay bright and alert as an adult and maintain cognitive health in their senior age. So you can Cherish the bond you have together, at every life stage. FORMULATED TO MAINTAIN MENTAL ALERTNESS & JOINT MOBILITY.